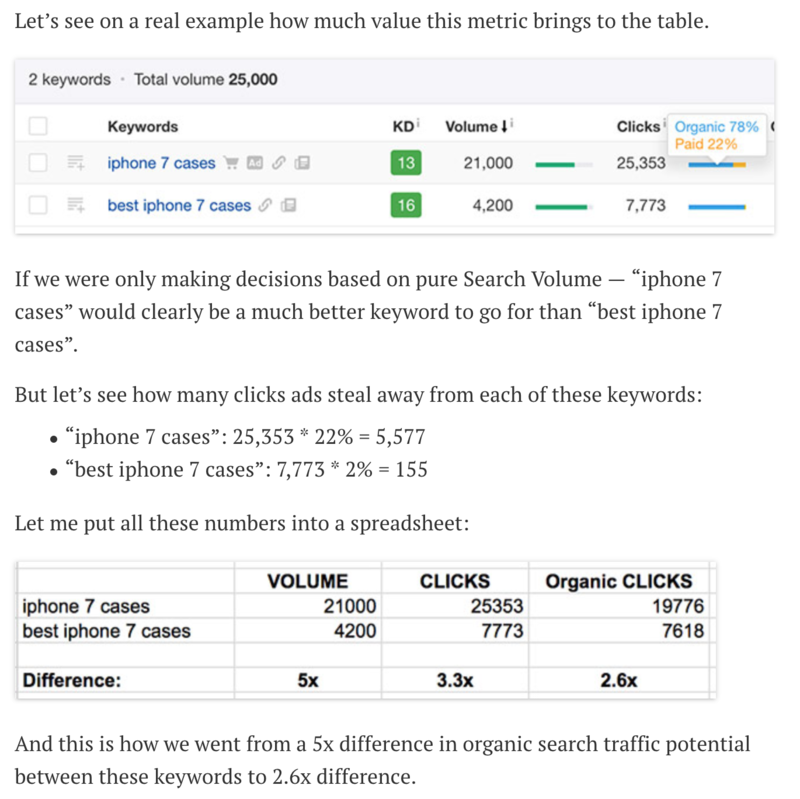 The kind of calculation Tim proposes in the post introducing the new Keywords explorer is otherwise basically impossible to do at scale. CTR/Clicks is great, but expecially with huge volumes and keywords where there are relatively more paid clicks, it's essential for SEO (or even PPC campaigns) to know the percentage or number of cliks on organic and/or paid. So we'd love to be able to export these, maybe as like an option.